2019 is shaping up to be an exciting year with lots of opportunities, for learning and experiencing our connection to our inner-worlds and outer-worlds, for embodying the ancient indigenous wisdom into our modern lives. To open our hearts to those who are different than us. For a chance of making our world a better place for our children, and grandchildren and many generations to come. I am looking forward to sharing those opportunities with you. Here are some events you can join me in. Overcoming Traumas- Soul Retrieval at Kripalu Center - A must! Join other like-minded seekers on a shamanic adventures! 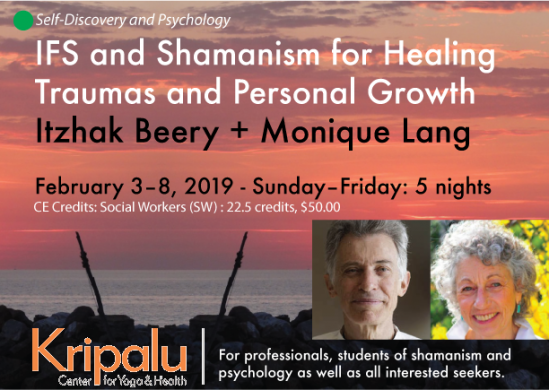 Following the unprecedented success of the 1st Andes Summit, Itzhak Beery, founder of Shaman Portal present you with a rare Shamanic Healing and Teaching opportunity of a lifetime. Join us and make a fresh start - See more. Discover centuries of deep wisdom for transforming your energy, expanding your vitality and creating a new heart-centered way of experiencing our world. "...I'VE BEEN ON A LOT OF SPIRITUAL JOURNEYS OVER THE YEARS, BUT NOTHING LIKE THIS. SHUNGO!!" 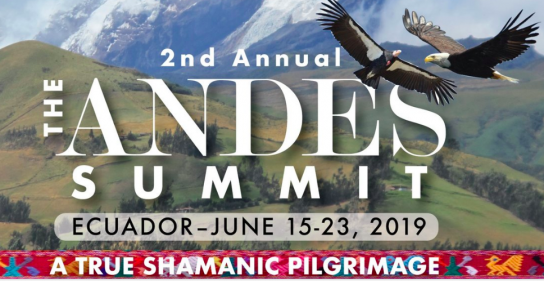 Dear friends, I invite you to join 10 of the most renowned Yachaks (shamans) of the High Andes of Ecuador on a rare spiritual and healing pilgrimage. In over 9 days and 8 nights, you will be introduced to all aspects of Andean healing modalities. Participate in informative Master Classes and ancient rituals. 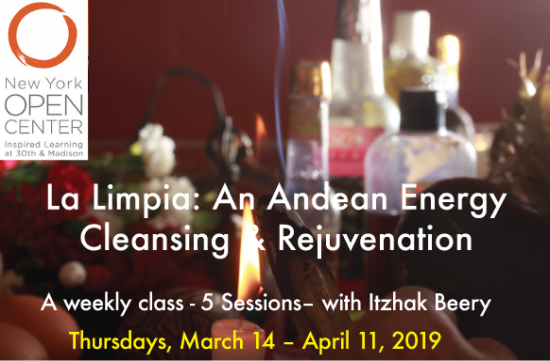 Experience powerful La Limpia–energy purification ceremonies, Taki Sami–sound healing, sacred body movements. With optional plant medicine, and Tamazcal healing ceremonies. Take hikes to majestic lakes and waterfalls. Dance and sing at the ancient Inti Raimi–the Inca “Festival of the Sun”. The Summit is a true immersion in the Andes culture. One-Day Workshop @The NY Open Center - Limited places. Shamanic Palm Reading is a diagnostic art form created by ancient indigenous cultures from around the world. It helps a person navigate emotional difficulties, traumas and make smart life decisions in alignment with their soul’s purpose as inscribed in their hands at the age of 5 months in the mother womb by the person’s soul. La Limpia is a traditional energy cleansing ceremony used when people become emotionally/physically sick due to energies described as bad luck, “evil eye,” entity attachments, or have problems in relationships, money, or other misfortunes. 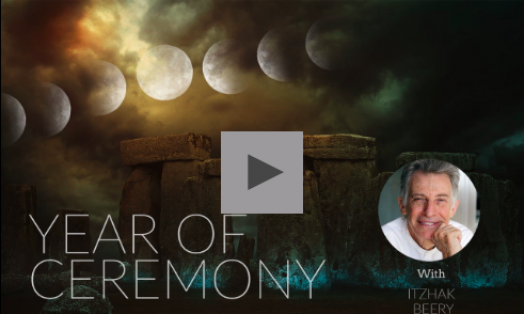 With Year of Ceremony , a council of today's most prominent shamanic teachers will be your guides each month to offer you an unprecedented new way to explore and enrich your practice. You will build deeper relationships to the spirit world and the forces of nature, as you unite with a global shamanic community. UPCOMING EVENTS IN A GLANCE: SAVE THE DATES! For more shamanic circles & events in NYC visit NY Shamanic Circle - I co-found in 1997. If you or someone you know is a video editor and willing to help in editing videos and stills of THE ANDES SUMMIT to create powerful short promos, let me know. "The healing has been so helpful. I haven’t had a migraine all week, which is rare." "My session today was a true blessing. I feel alive and awakened in a way that is difficult to explain. I’m so grateful to have found you." "it was one of the most profound experiences and set of insights I have ever had!!!!!!!!! So rich and so surprising!…I am very grateful for and appreciative of your help for me." Read testimonials and more info here. For more shamanic teaching and events check out the group I co-founded in 1997 - We hold different FREE circles: General Open Center, Women's Circle, each month, We also have a monthly workshops by visiting shamans from around the world and other community events.